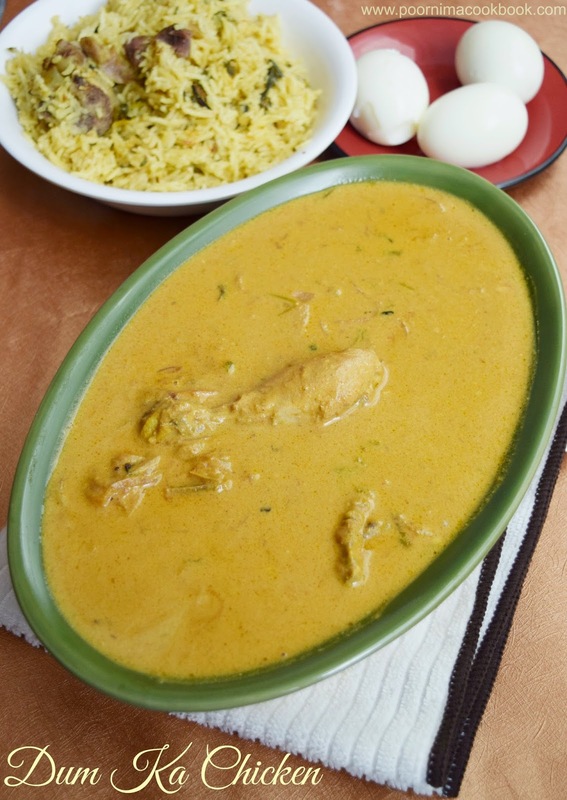 Dum ka Murgh / Chicken is a very aromatic and also a popular hyderabadi special recipe; prepared using chicken, many aromatic spices, cashews / almonds paste, curd and fried onions; slow cooked in "Dum Style". I have adapted this recipe from the famous chef Vahrehvah. 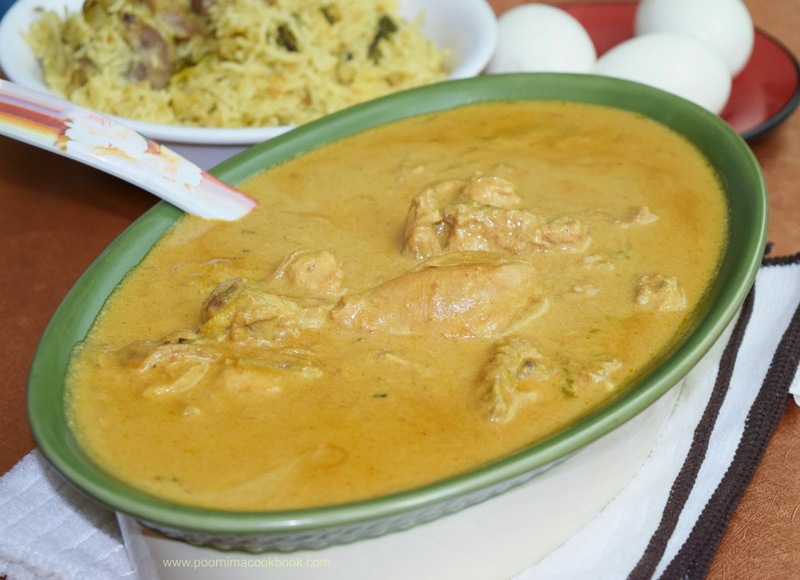 This gravy is easy to cook and so delicious with the mild sour taste of yogurt. 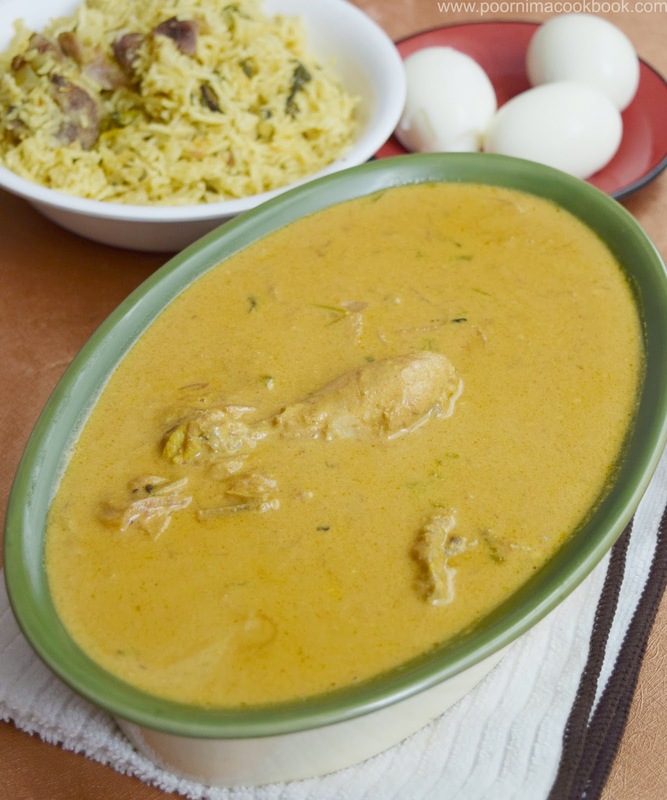 This suits well with any flavored rice or with any Indian flat bread. Do try this and give your feedback. Add cashew nuts or almonds in a blender / mixer along with little water and grind it into a fine paste. Keep aside. Deep fry the onions till golden brown and drain the excess oil; keep aside. In a large non-stick pan; add chicken, cashew nut paste, curd, fried onion, ginger-garlic paste, chopped chillies, chopped mint and cilantro, turmeric powder, red chilli powder, corrinader powder, cumin powder, cinnamon sticks, cardamom pods, cloves, shah jeera, lemon juice, salt and vegetable oil in the pan. Mix well. Keep the marinated chicken for at least 3 to 4 hours in the fridge. After that, add water to the gravy; to adjust the consistency (if needed). 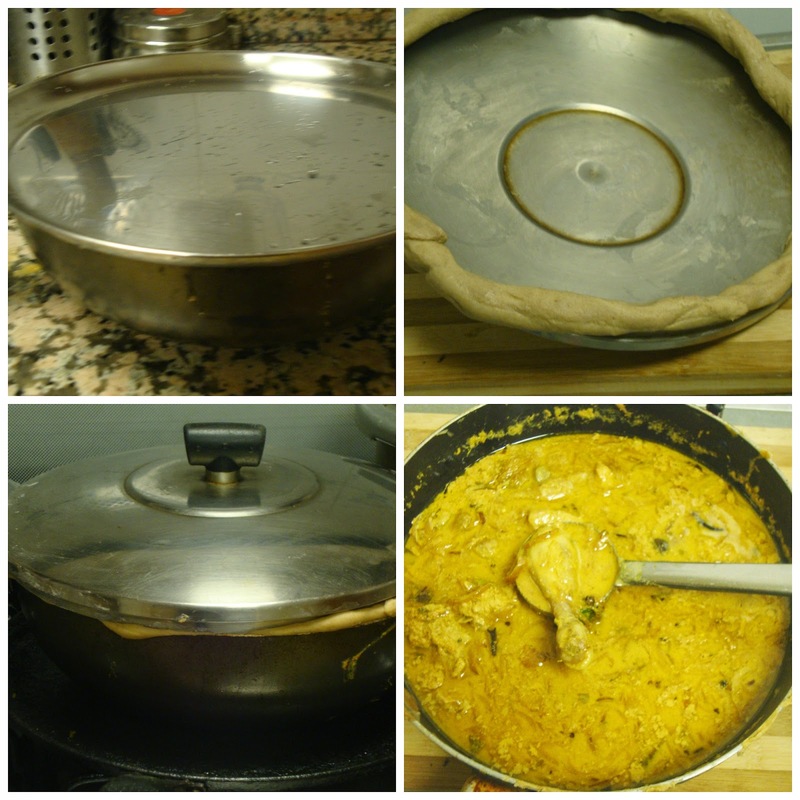 Take the lid of the pan and seal it with the wheat flour / atta dough. Cook this in a medium to flame for 15 minutes and reduce the flame. Place the pan on the iron tawa or old iron dosa pan and cook this in a slow flame for 30 to 40 minutes. After the time is over , turn off the heat but do not open the lid immediately. Leave the pan as it is for 10 minutes. Succulent & juicy chicken is ready to serve. Adjust the spice level according your taste. I didn't add shah jeera; because it is not available in my place.